I like to think that as a mom I have a little bit of insight into what moms like and appreciate when it comes to gifts. Useful things that last a while and can be used over and over again are so much better than items that sit on the shelf and have no real purpose. These Mother’s Day gift ideas are so useful that they will actually help moms feel more balanced and joyful-I know, because I have been feeling great after using them myself! Don’t get me wrong, I love a beautiful bouquet of flowers or a hand-drawn picture from the kids. 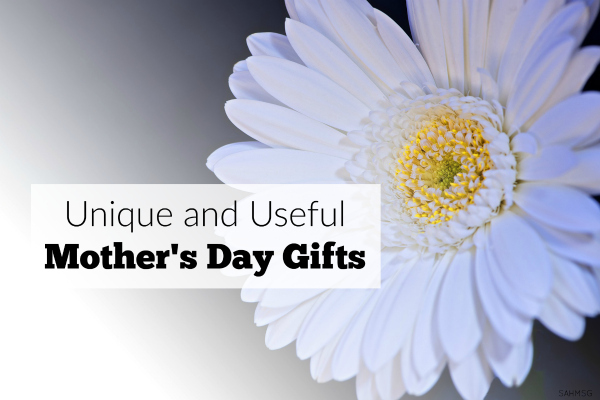 When we are talking about purchased gifts for moms-or that moms can purchase as a little reward for themselves-useful is a good thing. These unique and useful Mother’s Day gifts are grouped by price: Less than $50, Less than $100, and The Ultimate Mother’s Day Gift. For moms that like to pamper themselves, but do not have a lot of time to indulge, this Beauty Set is perfect. 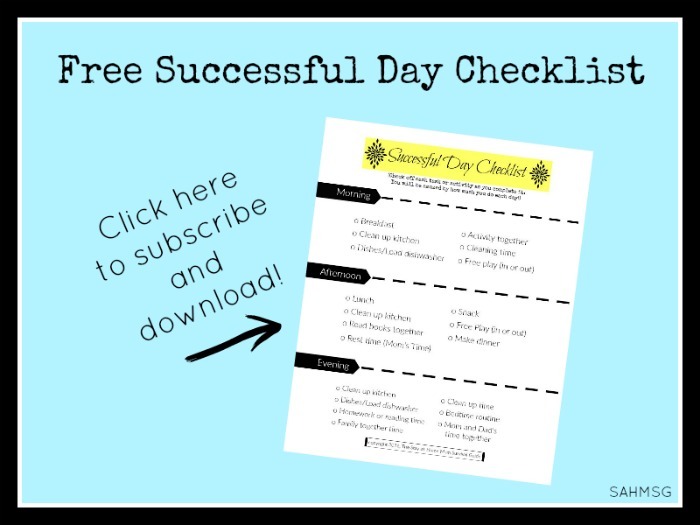 Included is a DIY booklet that teaches moms how to add a little beauty pampering into their busy schedule. 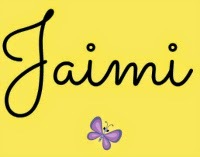 The cosmetic bag and essential oils included will allow this gift to be useful long past Mother’s Day. Lavender and Cedarwood essential oils are supportive of the skin and relaxation. These oils can be applied directly to the skin or added to bath water for a calming, rejuvenating bath. 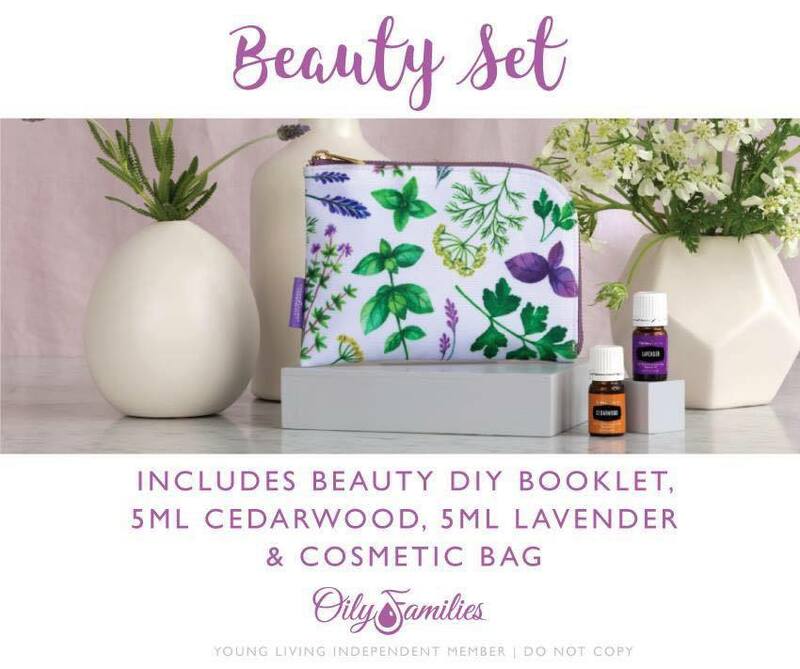 The Beauty DIY Booklet Set is $32.89 (retail) and $25.00 (wholesale). Grab mom a wholesale membership or choose retail to pay full price, then add the DIY Beauty Set to your cart and you will get the wholesale savings. Comfy slippers, a pumice stone, and the Pedicure DIY card allow moms to fully relax and take time for themselves. Included are two essential oils that should be in all of our mom toolkits: Peppermint and Stress Away. The Pedicure Set is available for $38.16 retail and $29.00 wholesale. You can see how wholesale membership saves you money over and over again. If mom has shown interest in essential oils you will want to buy only the best. Young Living is where I buy my essential oils because they are the only company with a Seed to Seal guarantee of purity. No other essential oils company owns their own farms. The essential oils basic gift set is a great intro set to dive into the wellness benefits of pure, therapeutic grade essential oils that only Young Living can offer. 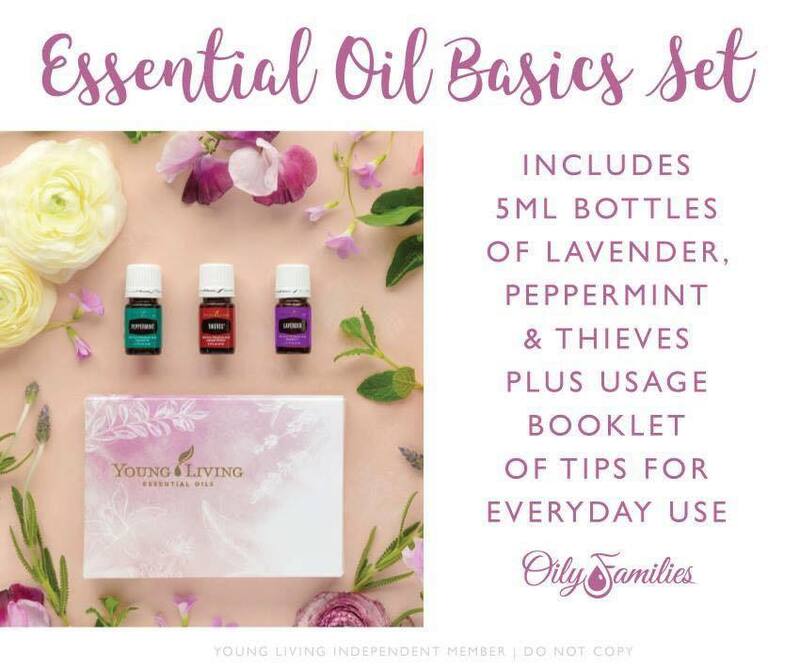 The Essential oils basics gift set includes 3 bottles of oils-Lavender, Peppermint and Thieves-as well as a booklet of tips for using essential oils every day. Thieves supports the body’s ability to stay well. Lavender calms and is great for skin, and Peppermint cools, soothes and supports less tension. What mom doesn’t need those? Get mom an Essential Oils Basics Kit for $43.09 retail or $32.75 wholesale. You can read more about Young Living’s wholesale membership to save 24% on all oils. I highly recommend it! This set really gets you some mega-savings while still getting mom a great wellness-supporting gift! If mom is interested in supporting her energy, or maintaining a healthy weight, this Mother’s Day gift set is definitely a must-get. 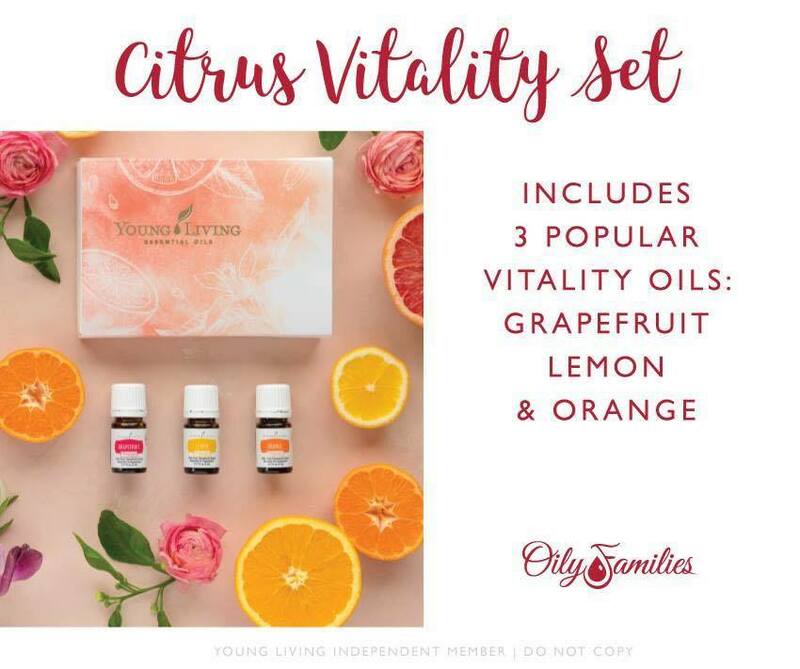 Grapefruit, Lemon and Orange Vitality oils are the trio in the kit. Naturally occurring limonene packs a health punch. Get this set for $23.68 retail or only $18.00 wholesale. Buy mom a stainless or glass water bottle to complete the set and she will be ready to take charge of her health goals. If mom is already spending a lot of time outdoors a unique and useful Mother’s Day gift for her is the Active Outdoors Set. 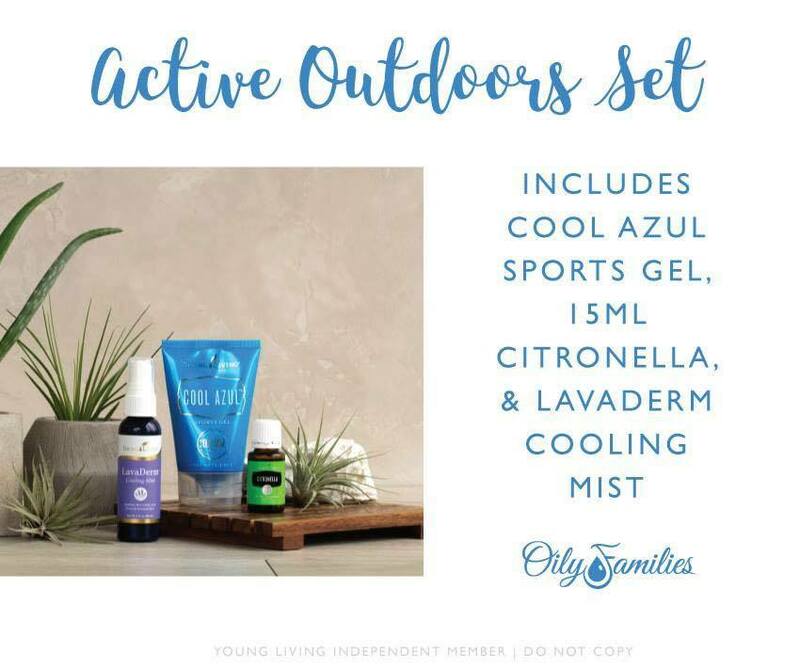 It includes Cool Azul Sports Gel to massage onto muscles, Citronella essential oil to keep pests away, and the unique Lavaderm cooking mist which is essential when you spend periods of time out in the sun. This active gift set is great for Mother’s Day, athletes, or moms who have fitness goals. This gift set retails for $85.53, but you can save $20 by buying it at wholesale price for $65.00. These products last so long that the cost really is divided over months. Mom will get so much use out of useful Mother’s Day gifts that fit her lifestyle and needs. This one I really love because you can give mom a wholesale membership to the best essential oils company on the planet and get her great oils to start using right away. Just go to my Young Living essential oils sign up page. Check Wholesale (you don’t ever have to sell a thing). Choose the Basic Starter kit. Add the Essential Oils Basics Gift Set to your cart. You will get mom all of that for less than $100! The 3 essential oils in the Basics Gift Set that you add to your cart comes with a booklet of tips for using essential oils every day. All of that will only cost $77.75! 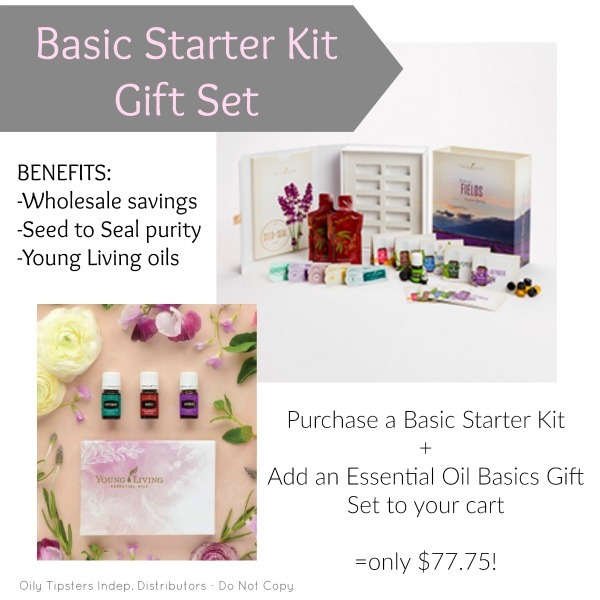 If you purchase this Mother’s Day Basic Starter Kit Gift Set, mom also gets to join my members-only Facebook group to learn even more about essential oils and how to use them to gain balance as a mom. It’s the gift that keeps supporting mom every day. I say it, because that is what it was for me. Two years ago I got the ultimate Mother’s Day Gift. It is the best purchase I made for my health and seeking balance in motherhood. If you really want a gift that has so many uses for mom, 100s of wellness benefits in one box, and will help mom feel great every day this is what you need to get. The Premium Starter Kit is the ultimate mother’s day gift. Mom gets 11 full bottles of essential oils, 10 sample packets, resources and information to use oils every day-safely-, and your choice of diffuser! A diffuser is the best way to start using essential oils to make your home smell great and support your health. 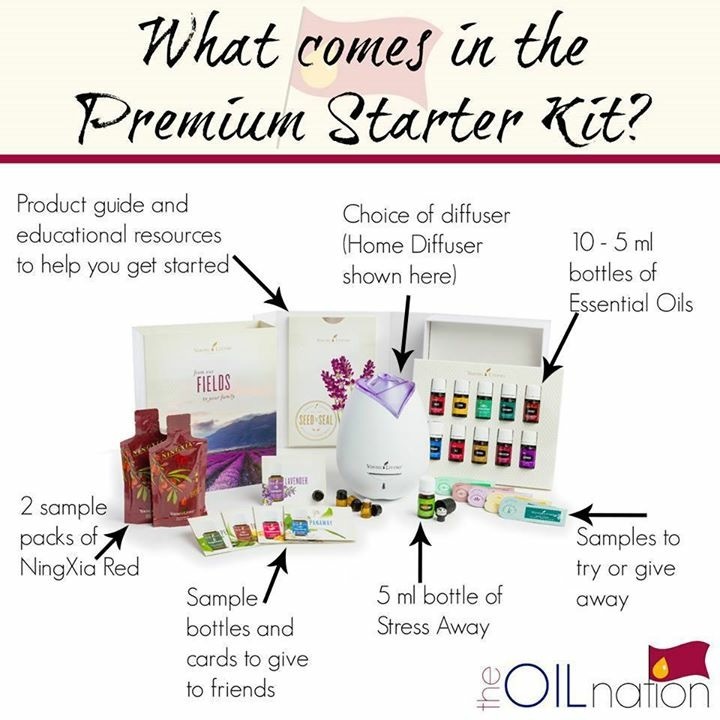 Check out all that comes in a Young Living Premium Starter kit. You can read the FAQs here. 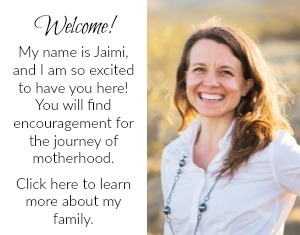 Also included in the welcome packet is a free resource book, document of 99 ways to use your starter kit, and a collection of DIY recipes that use essential oils, PLUS a free gift! You can get all of this for as low as $160. Just choose the Dewdrop diffuser to keep the kit at that price. The other diffuser that I highly recommend is the Aria. The Premium Starter Kit with Aria is $260…less than buying the Aria on its own! It is a great value when you consider all that mom will have in her hands to support her health and feel balanced. 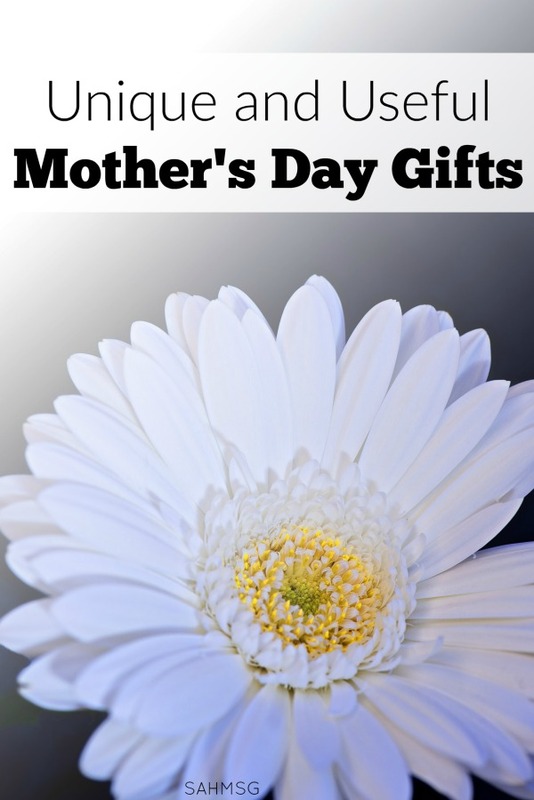 Isn’t it amazing how much value is included when we gift useful and unique Mother’s Day gifts? These gift sets will last months. Moms can really dive in to natural wellness and supporting themselves in small moments throughout every day. Taking time to support my health with natural products and essential oils is my strategy for staying well so I can feel in balance and have the energy I need to keep up with caring for my family. Essential oils have done phenomenal things to support my energy and overall wellness. This Mother’s Day treat yourself or a mom you love to a really useful gift. What are your favorite useful Mother’s Day Gift ideas?